Lebanon on Thursday warned its Mediterranean neighbours that a planned EastMed gas pipeline from Israel to the European Union must not be allowed to violate its maritime borders. Beirut has an unresolved maritime border dispute with Israel - which it regards as an enemy country - over a sea area of about 860 sq km (330 square miles) extending along the edge of three of Lebanon's southern energy blocks. Israel is hoping to enlist several European countries in the construction of a 2,000 km (1,243 mile) pipeline linking vast eastern Mediterranean gas resources to Europe through Cyprus, Greece and Italy at a cost of $7 billion. Lebanon's foreign minister, Gebran Bassil, said he had written to UN Secretary General Antonio Guterres, EU foreign policy head Federica Mogherini and the foreign ministers of Cyprus, Greece and Italy to request that the pipeline does not infringe on Lebanon's rights within what it claims as its exclusive economic zone (EEZ). In a copy of the letter sent to Greece's foreign ministry seen by Reuters, Bassil said Lebanon would not allow its sovereignty to be breached, "especially when it comes to any eventual attempt from Israel to encroach on Lebanon's sovereign rights and jurisdiction over its EEZ". Israeli Prime Minister Benjamin Netanyahu on Wednesday said that US Secretary of State Mike Pompeo will visit Israel within the next few days to help with its plan to export natural gas to Europe. "In a few days, the leaders of Cyprus and Greece will come here, together with ... Pompeo, to advance a gas pipeline from Israel to Europe via these countries," Netanyahu said. Pompeo on Monday said his visit to the region will also include a stop in Beirut and Kuwait. Lebanon last year licensed a consortium of Italy's Eni , France's Total and Russia's Novatek to carry out the country's first offshore energy exploration in two blocks. One of the blocks, Block 9, contains waters disputed with Israel. Lebanese leaders have repeatedly warned Israel not to encroach on its offshore oil and gas reserves. 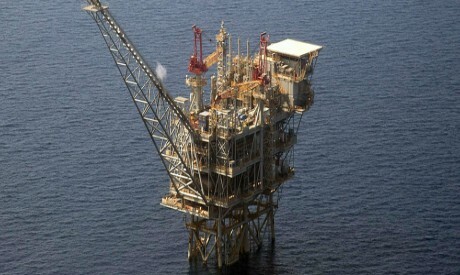 A number of big gas fields have been discovered in the eastern Mediterranean Levant Basin since 2009. However, the region lacks significant oil and gas infrastructure and political relations between the countries - including Cyprus, Greece, Egypt, Israel, Lebanon and Syria - are strained on a number of fronts. In January Eastern Mediterranean countries agreed in Cairo to set up a forum to create a regional gas market, cut infrastructure costs and offer competitive prices. Lebanon and Turkey did not participate in the meeting, nor did war-torn Syria.